Dressing for Success Actually Helps You Succeed | Valet. 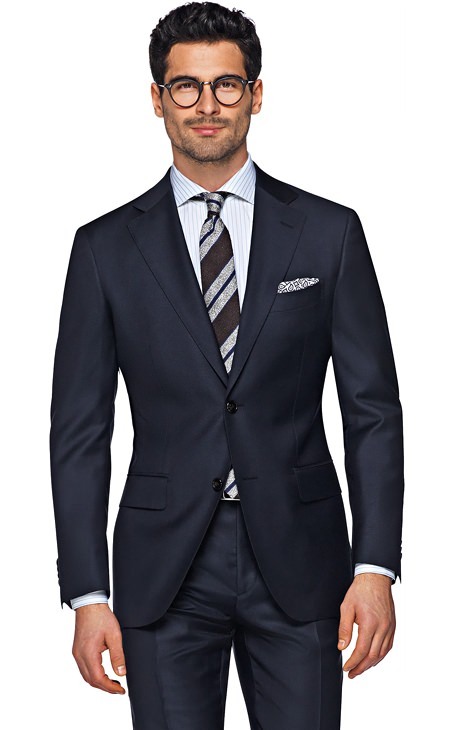 When appropriate, a full suit or a sport coat with a shirt and tie will ensure you're at the top of your game. If that's a bit too much for the occasion, focus on nailing the details. A crisply tailored shirt and trim trousers—the best quality you can afford. Don't forget the finishing touches like a pocket square, a pair of polished dress shoes or a nice watch. There are a whole lot of worn-out adages for the notion: Dress for the job you want, not the one you have. Clothes make the man. Fake it 'til you make it. The idea is that what we wear on the outside will have some effect on what we want on the inside. But it turns out, those aphorisms have stuck around so long because they're true. Recent research, cited in The Wall Street Journal and The Atlantic, suggests that dressing up on the job can boost your confidence and productivity along with actually enabling you to think differently. According to one study by California State University, putting on more formal clothes makes us feel powerful, which changes the basic way we see the world. They found that people engage in higher levels of thinking—the kind of abstract thinking utilized by powerful executives—when they were dressed up, compared with those more casually dressed. So when you want to come up with the big ideas (and have those ideas heard), showing up in a sharp outfit could help you out. Another study, by the Yale School of Management, pitted young men in suits and dress shoes against a similar group wearing sweatpants and T-shirts in a series of negotiations. Not surprisingly, the suits slaughtered the sweatpants. After all, when you're dressed informally, it's harder to stand your ground, isn't it? And as you may know, pulling on a good suit jacket can make you feel as secure as wearing a piece of armor. As professor Michael W. Kraus, one of the study's authors, put it: when you're dressed well, you send others a signal "about you being successful and confident in whatever you're doing." And here's the really good news: as office dress codes relax and work environments tend to become more casual, the benefits of dressing up are even more pronounced. "When you don't need to wear formal clothing, that's where wearing formal clothing can have a bigger effect," says Kraus. Dressing well for the office shouldn't add stress to your workday. But if you put in the effort before you get to the office, it's clear now that you stand to reap some serious rewards for your sartorial dedication. Kick your daily jean habit with a few pairs of grown up trousers.